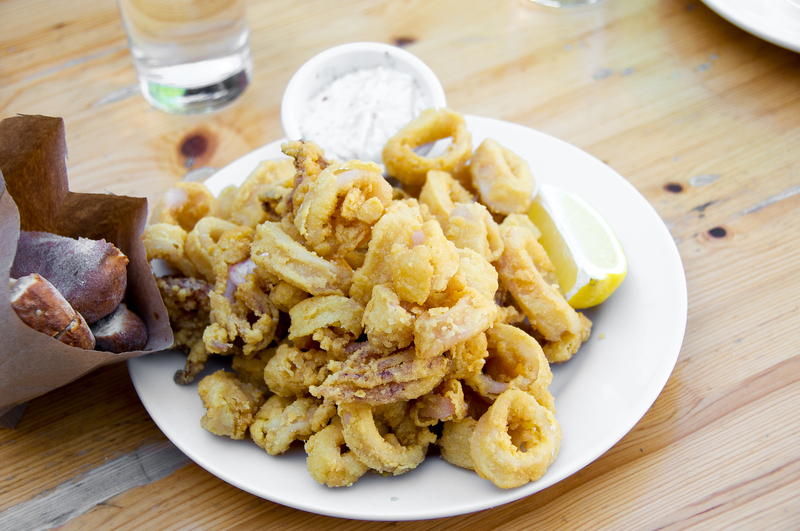 Greek food has been a fascination since a visit to Greece back in 2002. 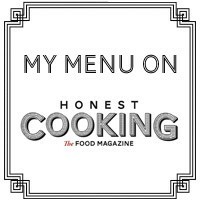 I was never able to recapture the intense yet simple flavors of the food I tasted there. Until now. 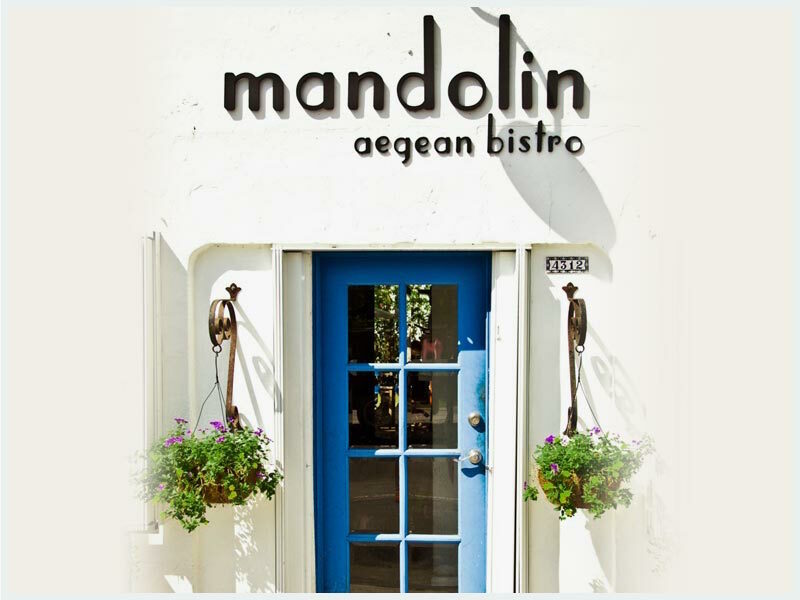 Mandolin Aegean Bistro is located in the Design District in Miami – a quaint building accented with blue and white colors and pretty flowers. 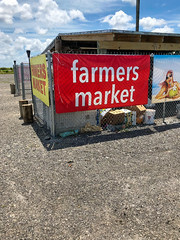 We arrived there early for lunch and thank goodness we did, as people came pouring in the second we sat down. 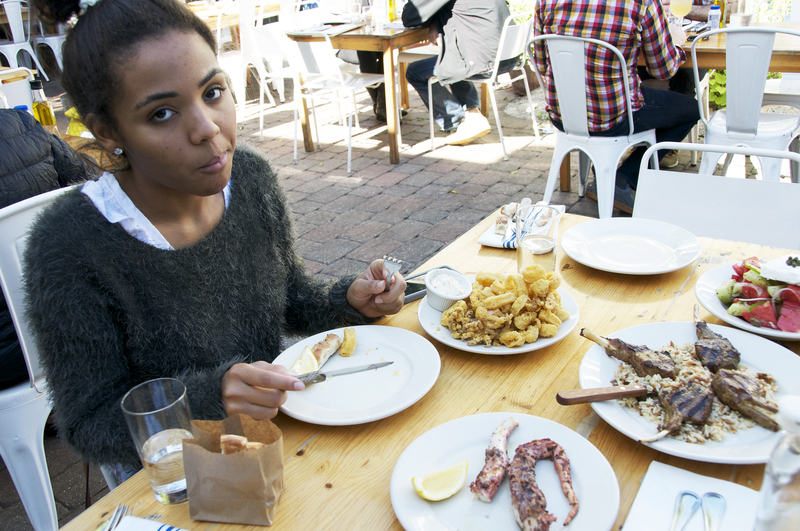 The little one had to order the Fried Calamari, which was served with an Almond Tartar Dip. 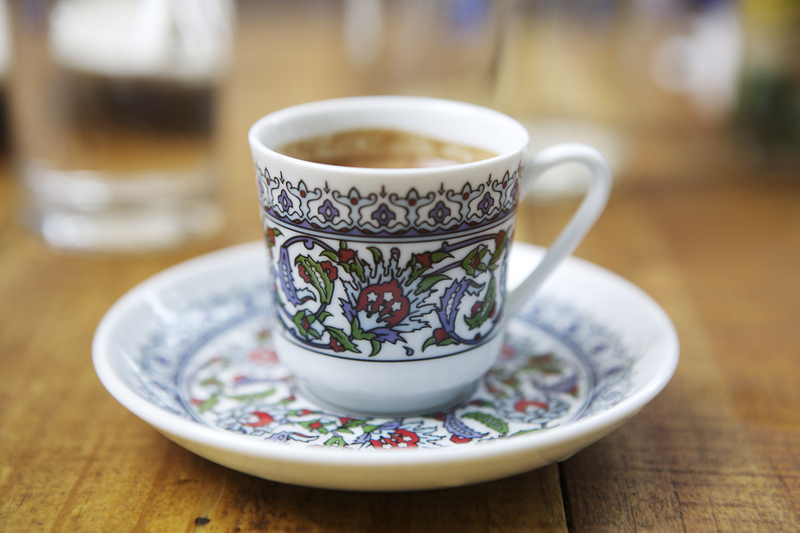 It was very pleasant, the addition of the almond to the dip, an unexpected little surprise. 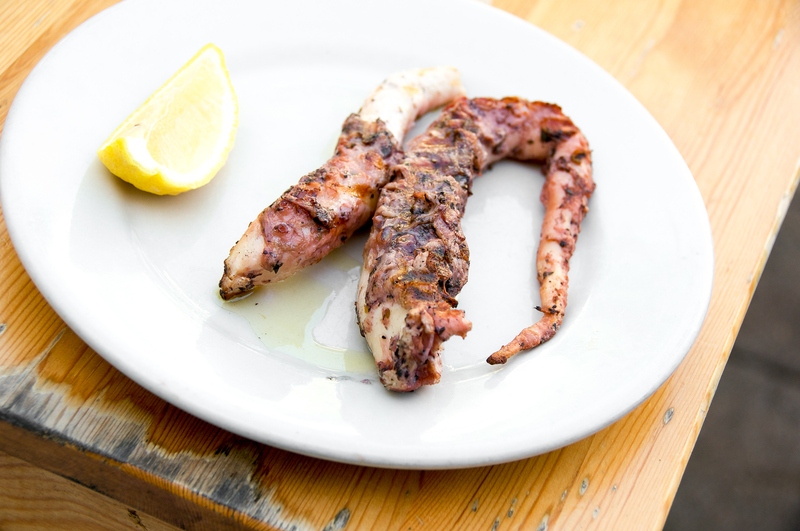 The Marinated Grilled Octopus was simply served with a lemon wedge and olive oil. 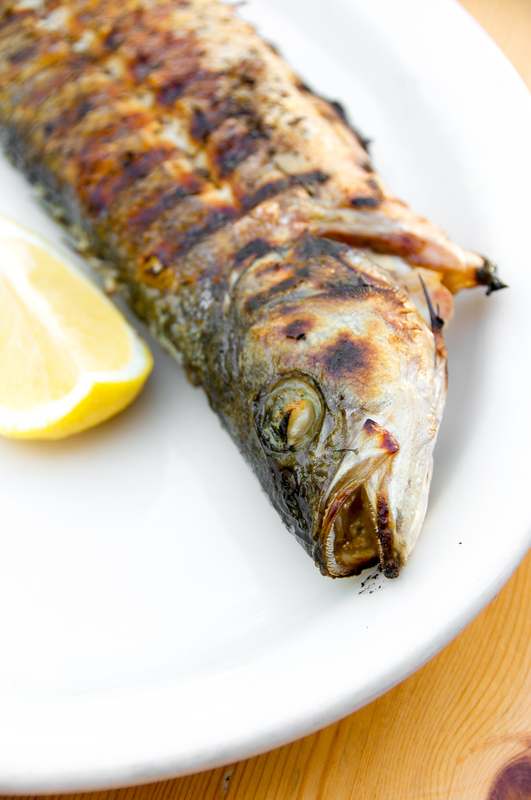 It was grilled to perfection and was tender to the bite. It brought heavy doses of joy to the stomach too. 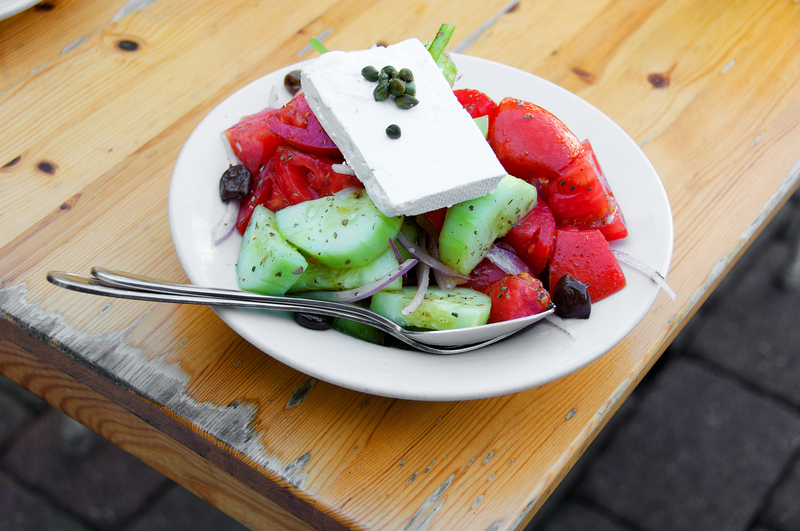 The Greek Village Salad was just perfect: massive chunks of bright red tomatoes, cucumber, red onions, green peppers and olives were topped with a glorious slab of aged feta, crowed with capers, the vinaigrette bringing it all together like a good marriage. 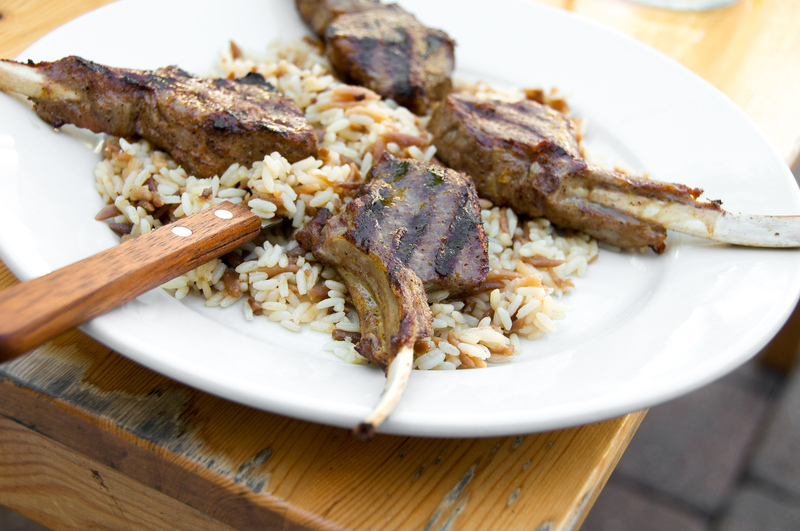 Grilled Lamb Chops served over Orzo Pilaf was one of those things that angels give you access to when they are in a good mood. 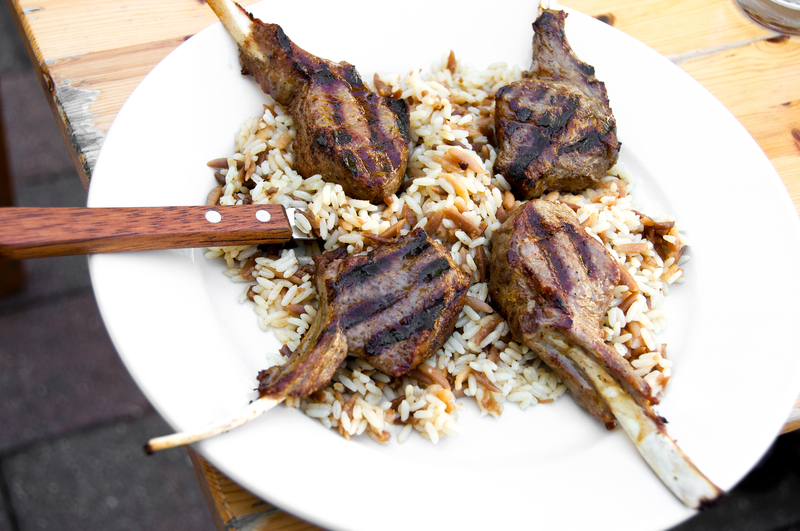 These little meat lollipops were so soft and tender, each grill mark adding a touch of smokiness to the already perfectly seasoned chop. 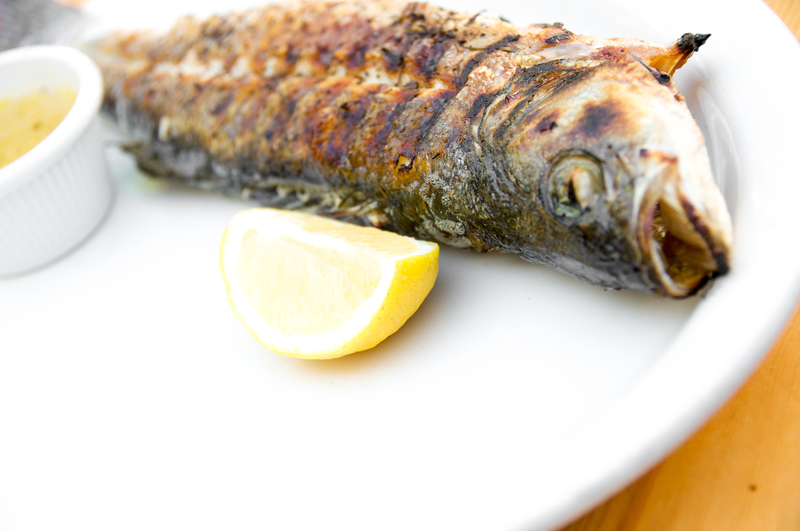 The grand finale was the Fresh Whole Grilled Fish served with olive oil, lemon and oregano. 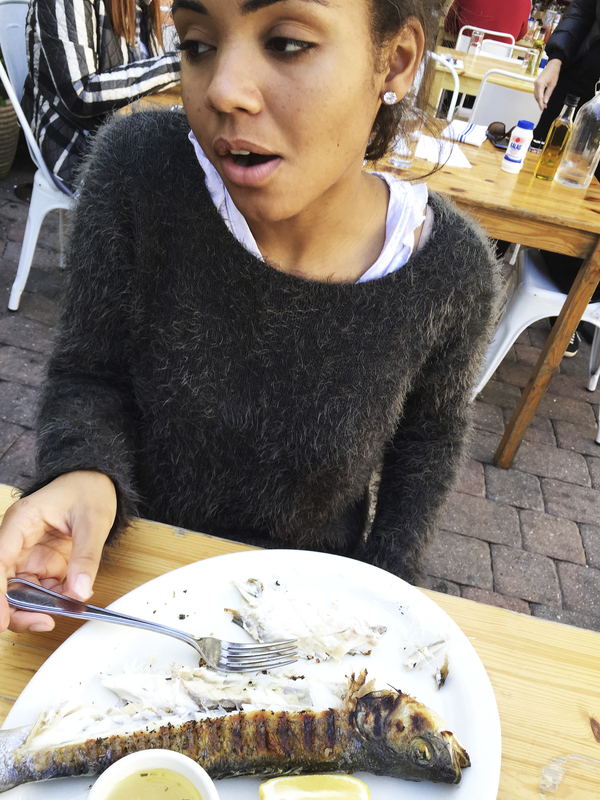 I forgot to ask what type of fish it was but who cares, it was delicious and fun to eat. 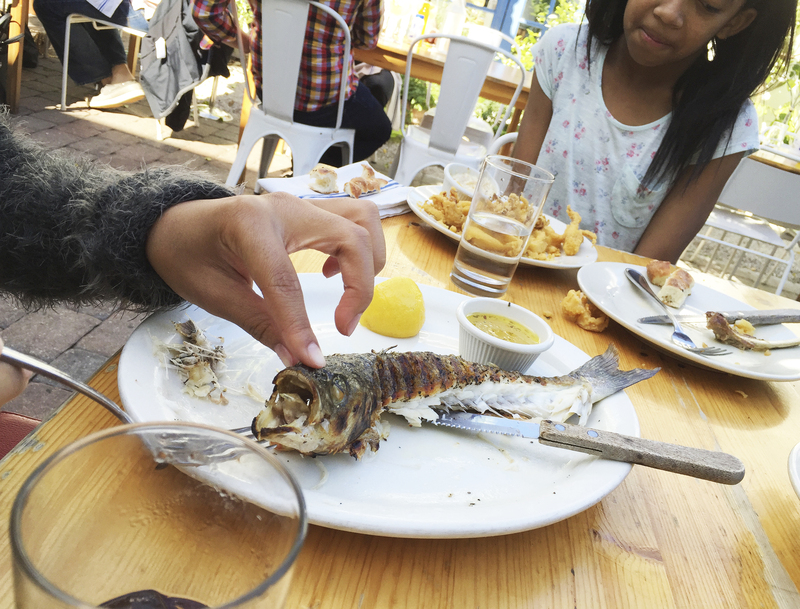 The fish itself had quite a personality, the perfect ending to an impeccable lunch.